The Comptoir de Toamasina is a specialist in the importation of the vanilla pod of Madagascar. We offer you one of the best Bourbon vanilla beans from Madagascar. You can buy with confidence a vanilla of quality seen on TV in Thalassa. The vanilla pod of Madagascar is our core business. The whole of our vanilla comes from small plantation in Madagascar. The Comptoir de Toamasina is first, a name Arnaud Sion who returns to the large island and arises the question: "Why do not try to make accessible the vanilla from Madagascar to the general public". It importa 10kg of Bourbon vanilla from Madagascar A small plantation which marketed on the markets of the city of Lille from Sebastopol the Saturday and Sunday place of the Concert. And since November 2015 two names, Arnaud Sion which manages the subsidiary of the counter of Toamasina in the city of Belo Horizonte and Danielle Zion which manages the Division France. Buy vanilla pods at the Comptoir de Toamasina is the insurance to buy the best of vanilla in Madagascar. The whole of our vanilla beans come from the best plantations to Madagascar. Arnaud Sion selects the best pods in the best plantions in Madagascar. The vanilla from Madagascar Vanilla planifolia AOC Bourbon. It is a vanilla from Color black or dark brown. It is a vanilla pod that is much more fleshy that its big sister the vanilla from Mexico. The vanilla from Madagascar will be characterized by a fruity taste and cacaoté. 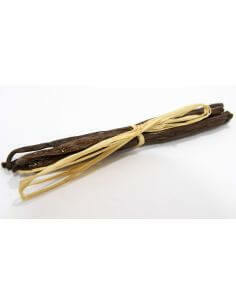 The vanilla pod of Madagascar is very present in the mouth thanks to its vanilla aroma very strong. In the cooking the vanilla pods of Madagascar delivers an aroma that diffuses everywhere. It is a aroma that will be very persistent. Buy the best vanilla pods of Madagascar directly from the producer at the counter of Toamasina, the best price-quality ratio. The counter of Toamasina work with the best restaurant in Brazil, we work in particular in Brazil with wolverine elected best restaurant in the south-east of Brazil. But the Pod vanilla from Madagascar What is it ? It is first of all A vanille emblématique, which owes its name bourbon to growers on the island of the meeting which the introduce in 1880 this variety on the Big Island. The vanilla is an orchid that lives in the tropics. It is the perfect vegetable spice who lives in adequacy with its environment, the nature. The vanilla is a plant very complex, which requires compliance with a process see a strict protocol to ensure its biological cycle and that it can offer you an intense aroma and long in mouth. The orchid producing the vanilla pod of Madagascar is a hermaphrodite, that is to say that it contains both sexes males and females. But in the absence of a little bee which exists only in Mexico, it must make a pollination by hand. It must be a contact between the two sexes that are separated by a thin membrane. We must not forget the flowery flower from 10h00 to 12h00. After pollination the flower of vanilla will die to give the fruit the famous vanilla pod of Madagascar. A flower of vanilla gives a vanilla pod. After pollination, it takes 9 months to ensure that the fruit becomes fully mature, Madagascar the crop is made between June and July after a decree of the Malagasy Government. It must then be 3 months of preparation and 3000 to 4000 manipulations for each POD in order to ensure and to shape the best Bourbon vanilla beans from Madagascar. Our vanilla pod of Madagascar AOC Bourbon in its gourmet quality or extra for the Malagasy nomenclature is constant from year to year, it must its balanced Alliance and its fragrance to the know-how of the Malagasy growers. Come discover and buy the vanilla pod of Madagascar AOC Bourbon of the counter of Toamasina directly from a small plantation Malagasy. They will offer you a unique experience. You have been able to discover our road to the vanilla in in the emission Thalassa on France 3 in 2014. This difficult road to go and find the best vanilla pod of Madagascar. We control each of our pods with care and caution in order to guarantee you the best vanilla pod of Madagascar of the market. 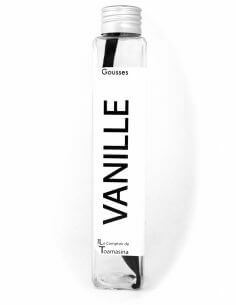 All our gousses of vanilla from Madagascar are shiny, fleshy, shiny, fluffy, black, very perfumed and not split. Our vanilla from Madagascar releases notes of chocolate and caramel who delight the whole of your pastries. The counter of Toamasina offers one of the best vanilla in the world, a small plantation in Madagascar. With our plantation partner since our beginnings 2010, we offer you a vanilla not expensive but of exceptional quality. The counter of Toamasina sells only the best vanilla pods of Madagascar. Come and discover our offers of bourbon vanilla from Madagascar in its quality gourmet, you will find a vanilla of high quality directly from the producer to the consumer. You can watch the road of our Bourbon vanilla from Madagascar on our blog or via the extract from the report of Thalassa. For many conserver la gousse de vanille de Madagascar, it must be store in a dry sheltered from the light and any impact of temperature. The vanilla only supports very badly the large variations in temperature. To effectively conserve your vanilla pod, you can buy our POD vanilla from Madagascar sold in packaging of 2 or 15 pods. The latter is in a packaging specially study for conservation. You can use a glass jar, hermetically closed with a plug in aluminum, never put a cork stopper, which can cause mold. The drink in iron or wooden, can be used but it should not be too large and must very well close. The price of the vanilla 2016 is very volatile, we are trying to better optimize our imports in order to guarantee you the best quality at the best price. I advice you to read our article on the price of the vanilla 2016. In short, our pod of bourbon vanilla from Madagascar is fresh, fleshy, extra, shiny, directly from small plantations, one vanilla of high quality and not expensive. Come discover and buy the best vanilla pod of Madagascar. Sale of vanilla from Madagascar 2016 Online : We sell vanilla pods of Madagascar in different format of 2 pods in 100 pods. For this year 2016 we can guarantee the prices annually of the vanilla from Madagascar. Following an outbreak of the courses in the vanilla. Come discover the best vanilla pods of Madagascar in the world. We welcome you in our showroom at 12 rue des Alpes to Premesques. Monday to Thursday from 12h00 to 14h00 and from 17h00 to 20h00. Madagascar vanilla There are 11 products.